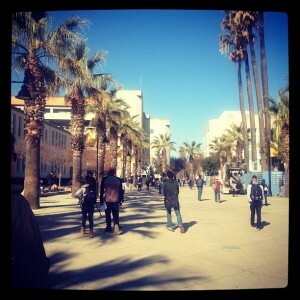 @vanessadingillo snapped this photo of students walking on the Paseo on the first day of Spring 2012. @edessenb: Neat #socialmedia thing of the day: @SJSU asking students to tweet any open classes they find to help their peers fill up their schedules. @tickingclock88: @SJSU English 123C is open! T/Th 1:30-2:45pm. @frankiekellett: @SJSU English 117 on Friday mornings is open. 9-11:45. @kengaroo18: Omg! @DonteWhitner is goin to SJSU?! TIGHT! @DaveSaech: Not only does he hit opposing RBs hard, but @DonteWhitner is looking to hit the books harder at #SJSU. @_krisanderson: @DonteWhitner #SJSU served me well and landed me PR internship with the Niners couple years back. @kevin3196: @SJSU SJSU best college ever!! @gratefulhubby: I love @SJSU because besides my 2 degrees from there, it’s where I met my wife. @SpeakOutSJSU: Proud to be part of @SJSU because of the proud character of the student body! 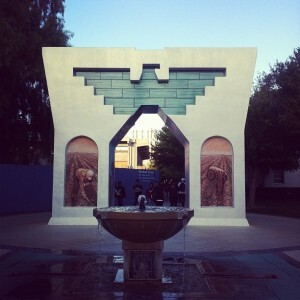 @LarisaAdama: I love @SJSU because it is in the center of everything. Plus our mascot is the business! I’m a Spartan! You’re a tree? Sorry. @sjsuLIFT: Gotta love @SJSU because of the KINESIOLOGY DEPARTMENT! Because of @SpeakOutSJSU and because of the adaptive Phys. Activity club!! @librarianleesa: @SJSU I love @SJSU because they offer the best SLIS program in the nation! Military Appreciation Day will be Dec. 19 & 20. San Jose State University invites all active members of the military to join us for two upcoming Spartan basketball games on December 19 and 20 as we honor the men and women who serve our country. 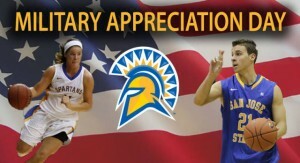 Active service members can show their military ID and purchase discounted tickets for either the women’s basketball game against Air Force on December 19 or the men’s basketball game against UC Davis on December 20. Both games tipoff at 7:00 p.m. This is a great opportunity for our servicemen and women to come out and enjoy some exciting college basketball action as we honor military personnel from every military branch throughout the game. Tickets for these games are available now at the Spartan Athletics Ticket Office. For more information, call 408.924.7589 or stop by the ticket office located at 1393 South 7th Street across the street form Spartan Stadium. Read more on Spartan Athletics. 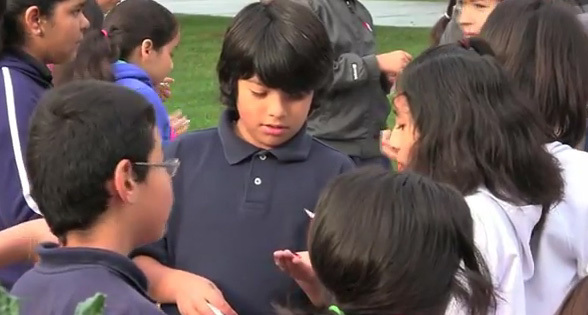 The Writing Center at SJSU recently put on an event with Horace Mann Elementary School. 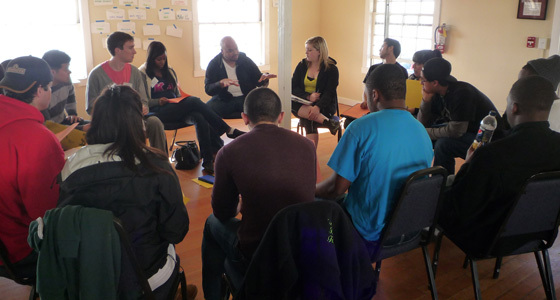 The students were able to participate in workshops to learn about writing and grammar techniques. The program was created to give Horace Mann Elementary school students a chance to experience SJSU at a young age, with the hope that they will be more interested in attending college after they graduate from high school. 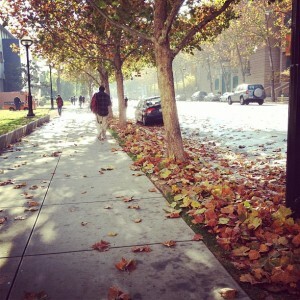 Great photo taken by @_chriistinaa of leaves falling on the 4th street side of the SJSU campus. @halfconformist: Massage chair at #SJSU Health Center is G R E A T !!! @cmedders: Yay Spartans!!! #SJSU beats #Fresno in the final game of the season. 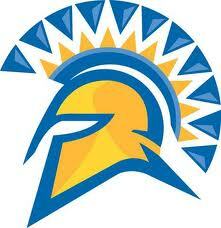 @ChrisBHaynes: Congrats 2 @SpearsNBAYahoo & @SJSU #Spartans 4 their victory over my @FSAthletics #Bulldogs 27-24. Y’all got THAT 1. @SpearsNBAYahoo: Congrats to @SJSU football for 27-24 victory over Navy! Go@SJSUAthletics. Give the gift of SJSU basketball for the holiday season! San Jose State Athletics celebrates this holiday season with the Hoops for the Holidays promotion. Fans of Spartan basketball can purchase $5 General Admission basketball tickets that will be donated, on your behalf, to one of three local organizations, Big Brothers Big Sisters of the Bay Area, the Boys and Girls Clubs of Silicon Valley or the YMCA of Silicon Valley; you may also purchase these discounted tickets and donate to your own organization. For every ticket purchased San Jose State Athletics will also match the number of tickets donated for each organization. Read more from SJSU Athletics. The new SJSU Spartans App helps fans keep up with the latest in Spartan Athletics. 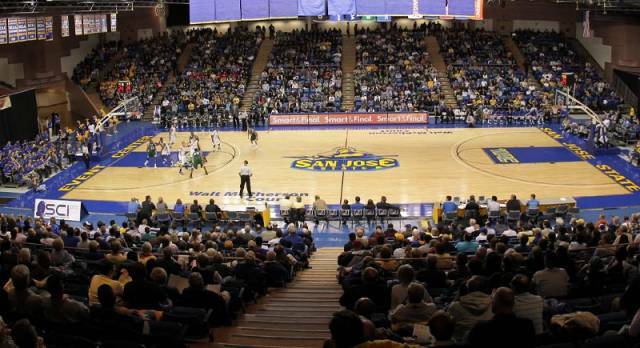 San Jose State Athletics and leading technology service provider NeuLion, Inc. launched San Jose State’s new mobile solution for the Apple iPhoneTM, SJSUSpartans. 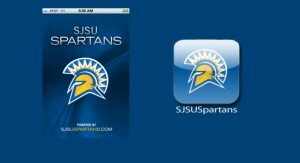 “We are thrilled to offer Spartan fans a mobile sollution with the debut of the SJSUSpartans app. The iPhone app is just the next step in our commitment to enhance the way fans interact with Spartan Athletics, said Michael Beaubien, Assistant Athletics Director for Marketing and Multimedia. Powered by NeuLion technology, the app gives fans access to a complete repository of on-demand video that includes various highlight packages along with exclusive content. The San Jose State iPhoneTM solution has been specifically designed and developed with a suite of video, audio, statistics, content and more, all in one convenient app. The functionality and features of the application includes: News, Schedules, Scores, Rosters, Photo Gallery, Live Stats, and includes Video On-Demand and Live Audio Streaming. All the development, testing and implementation of San Jose State’s mobile app was done in-house with NeuLion’s industry experts. 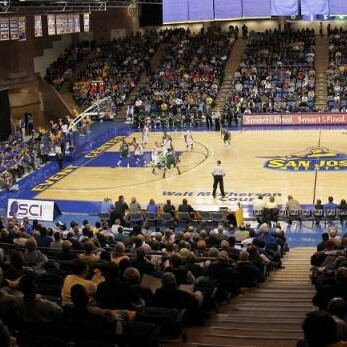 The NeuLion mobile application provides San Jose State the ability to extend all the compelling content on SJSUSpartans.com to a mobile setting, and connect with fans at all times! 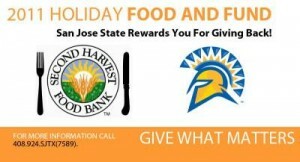 By participating in the 2011 Holiday Food and Fun Drive, participants will be rewarded with a coupon for discounted admission to various Spartan basketball games. Please visit your local Second Harvest Food Bank location to obtain a coupon. The Spartan Ticket Office located at 1393 S 7th ST, San Jose CA, 95112, will also have receptacles for donations and offer discounts to those who contribute on site. @treilly316: Excited to speak at san jose state tomorrow night at Pulse. 7:30pm, come on out Spartans! @BeWell_SJSU: @SJSU #SJSU happy international week! 8-11am outside Macquarrie- free Global Breakfast! @jakedaniel: My dad’s alma mater! RT @j_rex: Awesome!! Congrats!!! RT @harishvc: @SJSU website launched. The new website is driven by @omniupdate. @clawcasta: Got my acceptance packet to @SJSU School of Nursing! My good news arrived so much sooner than expected!! 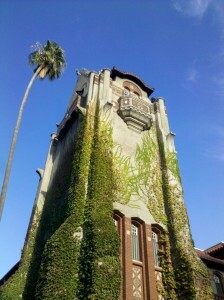 @Marco_Henry: Hope the #SJSU CASA award reception went well today, wish I could have made it. Thankful to be recipient of the Dwight Bentel scholarship. @TammySJSU27: On my way to the 9% tuition raise Protest @SJSU in front of Clark Hall!!! SEE YOU THERE! @BeWell_SJSU: COUGHSJSU smoke-free informational Thursday 11/10 in HB208 4:30-5:30Be the voice behind changing the smoking policy @SJSU Free pizza!! @RoyGeorgeChen: Had a cool time learning about Apex and Salesforce today. Thanks to Salesforce for supporting the #SJSU students! @brendiitaaa: Wow. Time flies. I’m registering for classes next week!! It will be the last time I register as an #SJSU undergrad. @ClubDC_SJSU: Three weeks until Thanksgiving @SJSU, who is working up an appetite already? @lovegoodbyes: #PaulWinters #debate #tournament #SJSU @SJSU got 3rd place in Individual Sweepstakes out of the whole tourny! 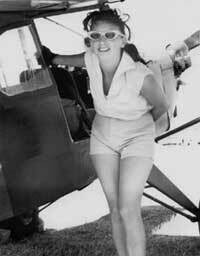 That’s ME! OMG! @_msscokes: Let’s go #SJSU . @metronewspaper: Gigantour ft. MEGADEATH, with Motorhead, Volbeat and Lacuna Coil @ San Jose State events center. Event: 2/23. Tickets on sale THIS FRIDAY. @EventCenterSJSU Who’s coming to #WeBelieveVsDubsGame this Sat??? @Matt_Barnes22@StephenCurry30@DWRIGHTWAY1 @jrich23 ARE!!! @JustBelow_SJSU: We now have caramel apples ^_^ How awesome is that?!? @calstate: @sjsu Looks good! Excited to see when it’s live. 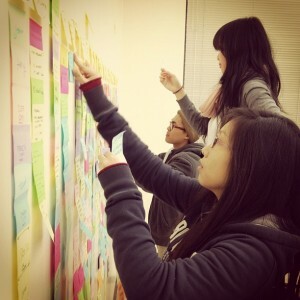 @lovegoodbyes: @SJSU Thanks for the new site preview! I love how SJSU is taking more effort to be more techno savvy! Just wish there was a mobile version..
@mnicolebrooks: @UncleSam916 I love SJSU! 🙂 yeah u should one day! @K_SMITH31: “@ChemicalAT: @K_SMITH31 Sniff, sniff. You smell that? Smells like Big Keith playing in a bowl game this year.”>….we ready to do it!! Great photo of the Cesar Chavez monument on campus taken by @Joey_Lopez11. @ClubDC_SJSU: Hope you have an awesome Monday at #SJSU, DCers! @PSemedo58: Listened to #sjsu football players discuss how great of a song “I Don’t Want To Miss a Thing” by Aerosmith is. Awkward much? @Marco_Henry: Wow, just learned that 5 of my @sjsu_Deltasig brothers have been selected as #SJSU Orientation Leaders for next year. So proud of them! 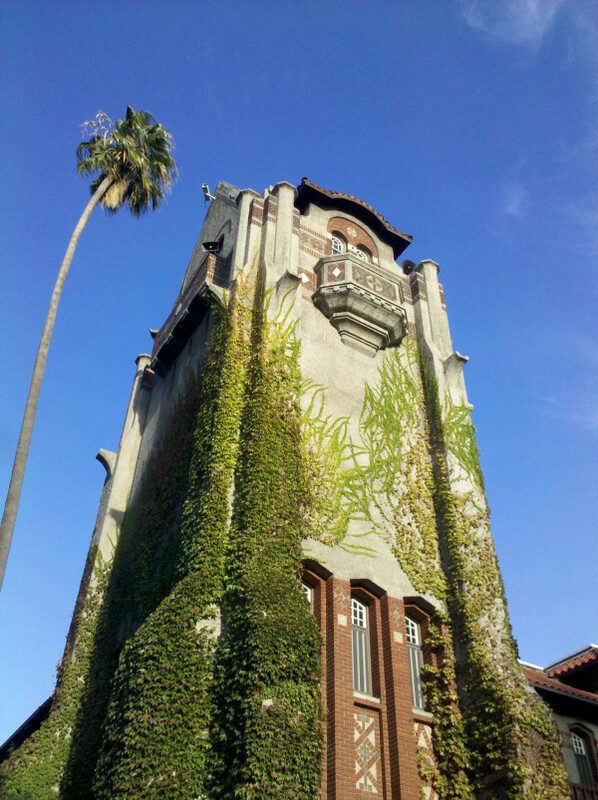 SJSU_ES: Admitted for Spring 2012? Please complete the Intent to Enroll process by 11/15/2011! Contact admissions@sjsu.edu for any questions! 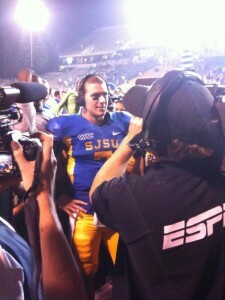 Great twitpic taken by @RoyGeorgeChen of SJSU QB Matt Faulkner's post game interview with ESPN. 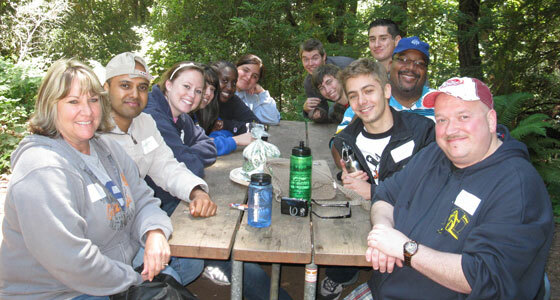 @getinvolvedSJSU Register for the SJSU Day of Service – Nov 4. Step up and get involved! @sal_sjsu: Did you know that SJSU has over 200 student organizations that you can join! @melleejayne: And officially two more months until I graduate out of @SJSU! @MelSantos3: #SJSU Alum networking at #PressClub SF last night. Early-stage, but has potential. Keep ’em coming. @SJSU freshman w/ big ambitions, has the drive to accomplish them. @Trav6official: #SJSU on the rise!! @RoyGeorgeChen: And here’s the winning QB, Matt Faulkner being interviewed by @ESPN. 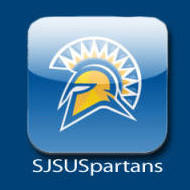 @louiev725: Way to go @SJSU Spartans! Whew, way to keep us on the edge of our seat! Twitter user @iMiNUSD tweeted out this photo of fixed gear bike riders meeting in front of the SJSU Event Center for a ride. @SJSUAthletics SJSU’s Midnight Madness is going down this Friday night after the football game..watch the video on sjsuspartans.com for more details. @The_Odds_Father: Brandon Rutley (RB for San Jose State) is Upgraded to probable. Injury type: Ankle. Duration: 0 game(s). Note: The opinions and and views in these posts are those of the independent student bloggers and not of San Jose State University. 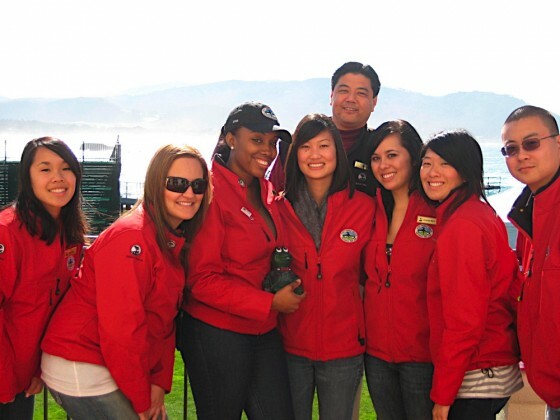 The deadline is coming up soon for the 2012 Special Event Management Team, which will provide students the opportunity to gain work experience at one of the world’s top resorts. All students are invited to apply online by Oct. 12, with successful applicants registering for a specific special event management course offered in spring 2012. The Department of Hospitality, Recreation and Tourism Management partners with Pebble Beach Resorts to assist with the annual AT&T Pebble Beach National Pro-Am golf tournament. Students showcase their skills while managing teams in skybox hospitalities, chalet hospitalities, and on-course food or beverage operations. The program has helped many secure employment in related fields, including recent graduate Jason Whitcomb, who began a three-year paid internship with the National Football League this fall. @SJSUAthletics Volleyball hosts Fresno State Thursday night at 7 pm. See you all at Spartan Gym! @SJSUalumni Fire on the Fountain is back for it’s fifth year as part of Homecoming week. Don’t miss out! Thursday, Oct. 13, on Tower Lawn. @monicapadilla: Back to a @prssasjsu meeting tonight and super impressed by all the new energy!!! #SJSU” Thanks for coming!! 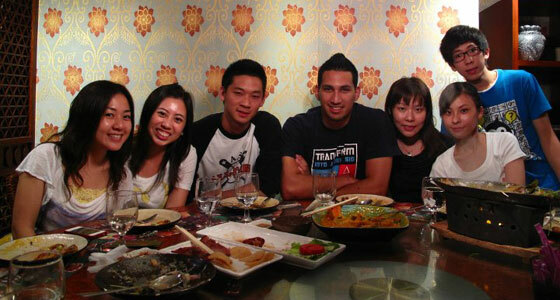 Marco Henry Negrete and fellow Spartan Ivan Ng sit together in China for a meal with Ivan's local family. Ever wonder what it would be like to be thrown into an entirely new environment with minimal support to help grasp your surroundings? 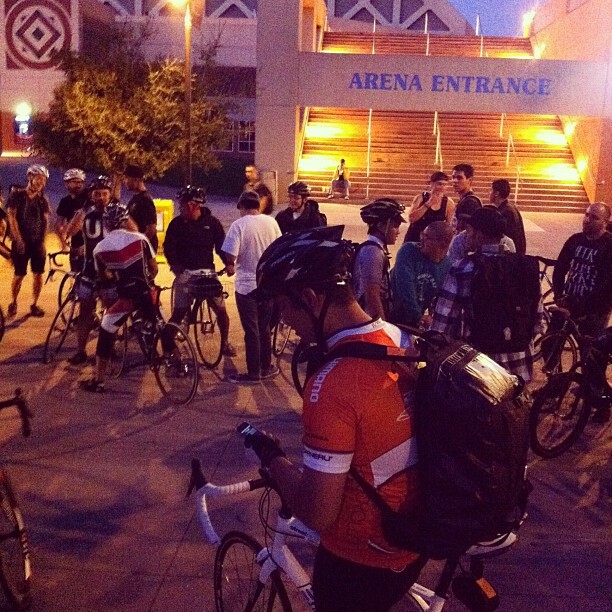 These San Jose State students decided to find out and are blogging about their experiences as they adapt to a new lifestyle while getting acclimated to their surroundings. You can follow along with Spartans as they blog about their adventures and develop into young professionals that will undoubtedly make their mark on the world. Here I am-Hong Kong By Marco Henry Negrete, Jr. Here I am, 7 thousand miles away from home in Hong Kong. Even though I’ve planned this trip for 2 years, I start to question if I’m really prepared. Is planning the same thing as preparing? Has it hit me yet? How do you know when it “hits you?” Read more from Marco in his blog. I am here in New York living out one my dreams this fall semester. I am interning at MTV in their News and Docs department. More specifically, I am working on the show True Life, doing tasks similar to an entry-level production assistant. Read more from Keith in his blog. San Jose State grad and current KCBSAM Radio sports director Hal Ramey and San Jose State radio/TV/film porfessor Mike Adams are two of the 19 inductees this year into the Bay Area Radio Hall of Fame. Originally published by the San Francisco Chronicle Aug. 7, 2011 (page 2 of the online story). The new Hall of Famers were voted in by public balloting. In the announcer (or host) category, winners were Rosalie Howarth, longtime KFOG DJ, and Laurie Roberts, veteran San Jose DJ and programmer now on KUFX (“KFOX”) and KPIG. Newscasters being inducted are Jan Black of KCBS and Chet Casselman of KSFO. For their work in sports, the hall will honor Ralph Barbieri, one of KNBR’s major stars, and Hal Ramey of KCBS. KGO managers Don Curran and Russ Coughlan will be inducted in the owner/manager category, while the pioneer inductees are Sybil Herrold, DJ “Bouncin’ “ Bill Doubleday, Don Thompson, and Francis J. McCarty. In the specialty division, KCBS traffic anchor Kim Wonderley and Dr. Dean Edell will be enshrined. And, representing engineers, Shingo Kamada of Entercom (KOIT, KUFX, Sports 95.7) is in. In addition, the Hall of Fame chose to honor four educators who were not on the ballot. They are Mike Adams, Gordon Greb, Dan Odum and Dr. Stuart Hyde. This column has been edited since it appeared in print editions.